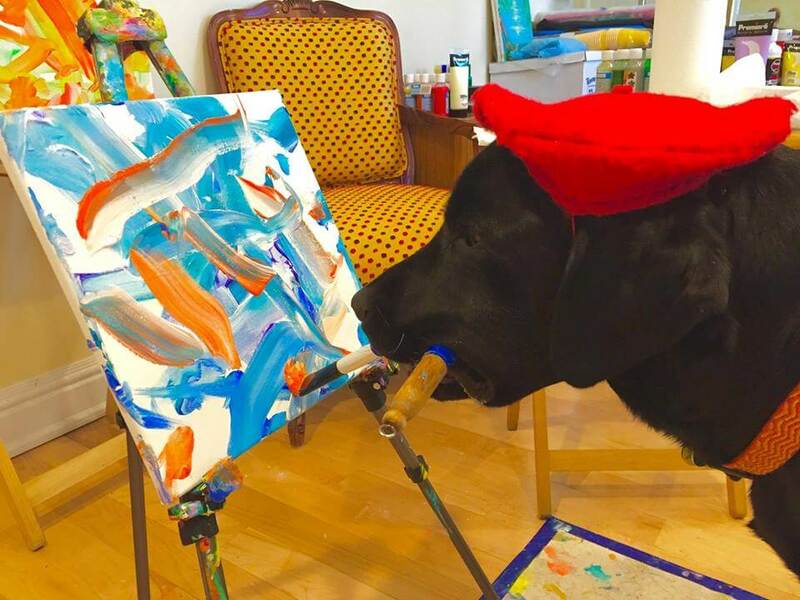 Dagger, a Black Labrador-Golden Retriever Mix, is a natural born artist (and he’s probably more successful than your average art school graduate.) If the beret isn’t enough to prove it, his extreme talent is. Ever since he was adopted by artist Yvonne Dagger, he was smitten with the craft. The pup’s ability to paint comes from the Canine Companions for Independence (CCI), where he was training to be an assistance dog. As part of his training, Dagger had to learn how to take on human skills. Yvonne handed him a paintbrush, and the little guy went to town. He’s since sold over 150 paintings and raised $10,000 for charity. He’s so famous he even appeared on The Rachael Ray Show.